Your eyes are a beautiful map of the person you were born to be – your most vibrant personality, inherent gifts and talents, how you respond to the energy of others, your natural response to your environment, and how you respond to challenges. They are a snapshot of your best life in motion. This map is built on the genetics and experiences of your ancestors and is printed out in full-size within 3 days of birth. Yet there can be some detours and changes to the terrain (your eyes) based on your earliest experiences, especially when they mirror those of your ancestors. I can help you understand some of the ancestral and personal situations that are playing in your life with an Irigenics ancestral eye reading so you can take control of your life and realize your dreams. Your eyes are the most sacred map of who you are. Like cutting through the trunk of the tree, you can see the many years and conditions it took to make you… beautiful you… your ancestors stories, from good to challenging are in there. When you can understand how some of the dynamics of your life are actually just a part of your epigenetic and familial inheritance, you can let go of blame and guilt, and start living your very best life. 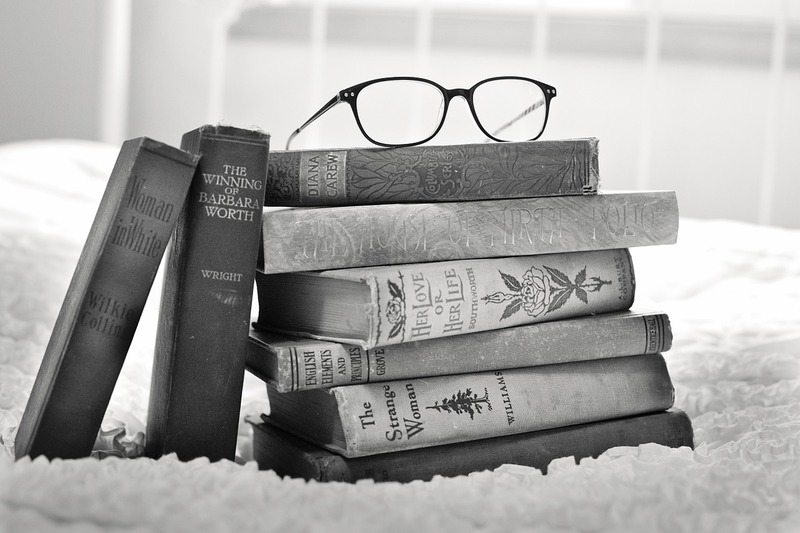 I do this work because of the amazing experiences and results people get from their reading in understanding themselves, the ancestral patterns that are playing out in their lives, and the true potential they have had since birth to bring to the word! Please note, that Irigenics is not a health reading. If you have a health condition, please seek appropriate medical attention. Irigenics readings often reveal internal dialogue patterns such as “It’s my fault” or “What’s wrong with me?” that can be wreaking havoc in your life. If your eye pattern doesn’t match your personality or your career choice, you may have a lot of drama happening in your life that can be eliminated. 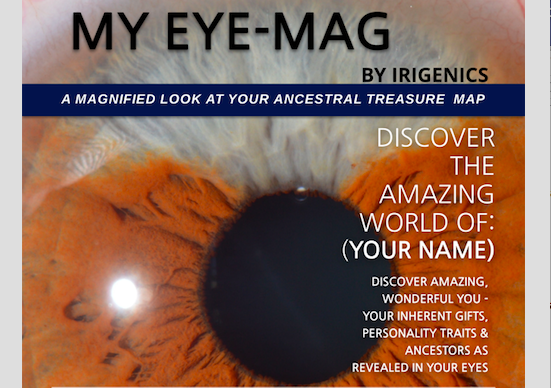 You have two choices for your personal Irigenics Ancestral Eye Reading: The “My-Eye-Mag” 36-page Digital Custom Report of your eye (and yourself) and the full one-hour “Eye Time” virtual reading. 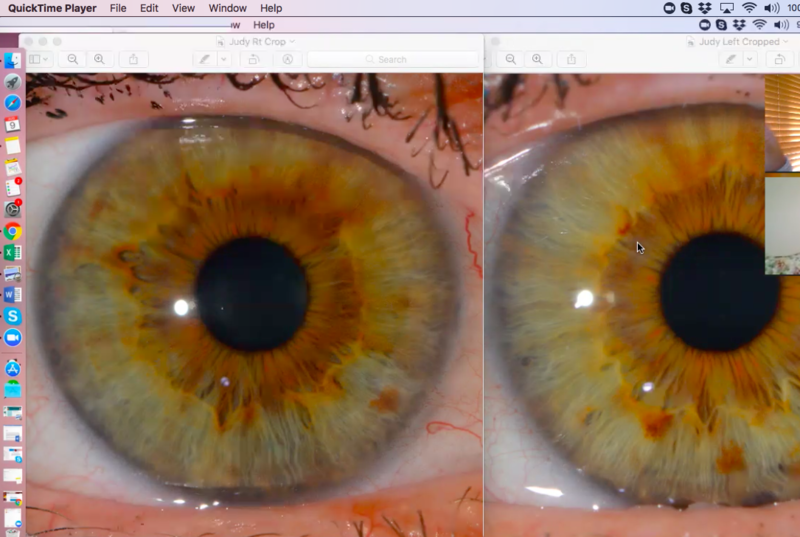 If you have high quality photos of your eyes, you can even choose the Mini-Me 20 Minute Dedicated Video first; and then get Eye-Time in a second web-ex reading, giving you the fullest depiction of what your eyes reveal about you. 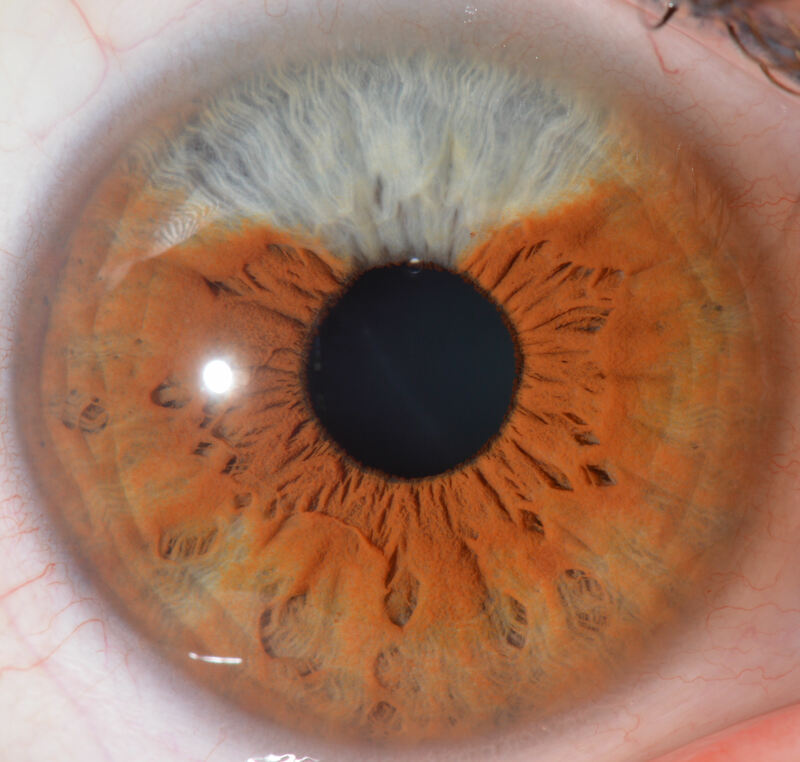 Using a macro photo of your eyes, we will analyze what the markings tell about you: your gifts and talents, epigenetic patterns from your ancestors, core beliefs, traumas, your “best partner,” peak career choices, and your personal energy pattern. Often ancestral images (energetic impressions) appear in the eyes, showing you those who have honed your skills for generations; to express now, through beautiful you. When I do your Irigenics Ancestral Eye Reading, I have just one goal; to set you up for success by giving you the tools to maximize your life. 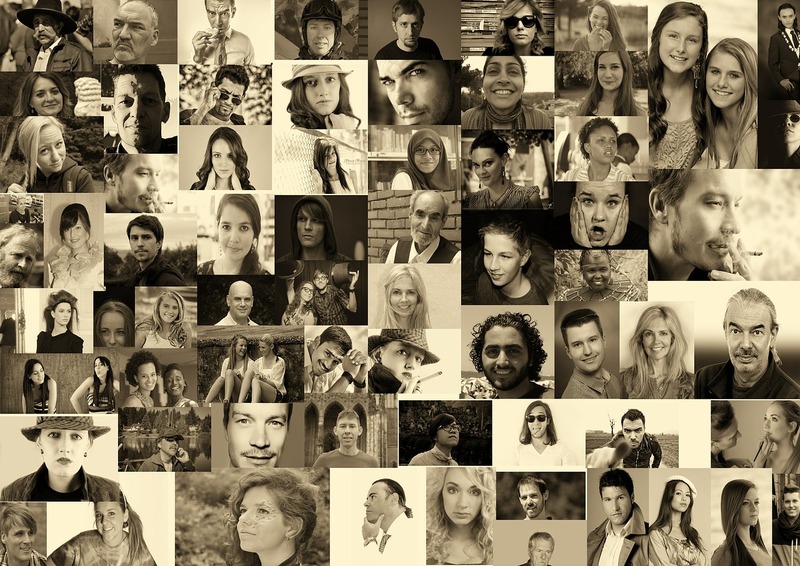 Particularly if you are adopted, or for some reason don’t know anything about your ancestral history, an Irigenics Ancestral Eye Reading gives you a glimpse into the personal building blocks of your life; including gifts, repeat patterns, best career and relationship choices. Having insight into the workings of what makes you distinctly you, even if you’re an identical twin, is an amazing gift as you redesign your life in order to realize your greatest dreams. Eye-Time is a great way to discover all the amazing colors and nuances of you, your life, and the amazing potential you have yet to reveal to the world. We will spend about an hour analyzing what your eyes tell about you in a web-ex meeting: your gifts and talents, epigenetic patterns from your ancestors, core beliefs, traumas, your “best partner,” how your energy interacts with others and how you can protect it, and peak career choices. 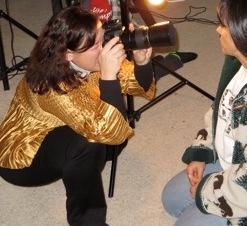 The video will be recorded on your side, so that you can return to it over and over again. Eye-Time makes a fabulous gift for yourself; or anyone in the process of changing careers, relationships, or life purpose and lifestyle. Get started today by taking a photo of your eyes with this Youtube video "How to Take An Awesome Eye Photo"
Eye-Group is a fabulous solution to an upcoming family reunion or civic club event. Whether you're looking for a new weekly feature at your holistic spa or social night, Irigenics can be a dynamic and amazing presentation to add to your event…whether it's a one-night event or a weekly program, the possibilities are endless! Give your friends, family, or club the experience of a lifetime - one they will never forget and one their ancestors have waited their whole life for. Fabulous program for kids and young adults wanting to understand themselves better. If you are involved with a non-profit please contact Irigenics with your details for available special programming. Free Step by Step Guide to an Awesome Eye-Selfie! 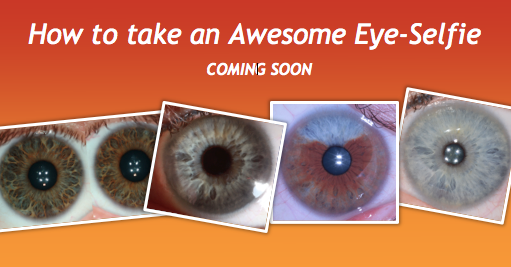 Sign up now to be the first to get the FREE step by step guide to taking an awesome Eye Selfies.